The polar region of the planet Mercury is home to the Egonu crater, named after the late Nigerian artist, Uzo Egonu. 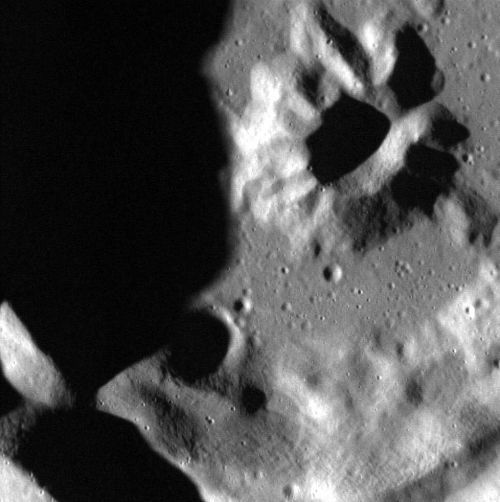 This image was acquired as a high-resolution targeted observation by NASA’s Messenger spacecraft, using its Narrow Angle Camera (NAC). Messenger (Mercury Surface, Space, Environment, Geochemistry and Ranging) is a collaboration between NASA, Johns Hopkins University and the Carnegie Institute for Science to do an orbital study of the planet in our solar system which is closest to the Sun.